East meets West as the influences of spicy Indonesian ginger and iris open up to a warm heart of vanilla, amber and patchouli, establishing a future classic fragrance. 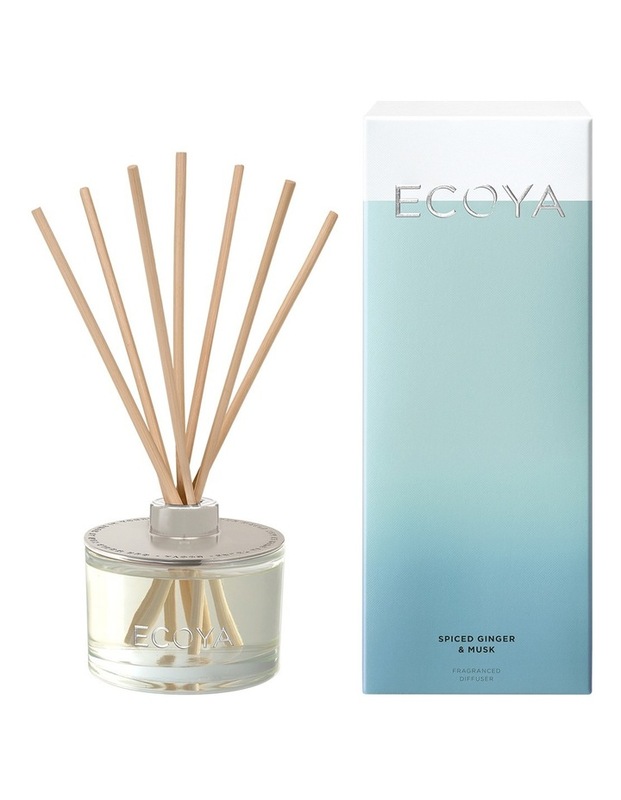 Housed in a beautiful glass jar topped with a silver lid, the seven reed ECOYA diffuser is designed to fill small to medium spaces with a long-lasting scent. The reed diffuser is presented in a stunning gift box, making it ideal for gifting. Enjoy up to 6 months of Fragrance.